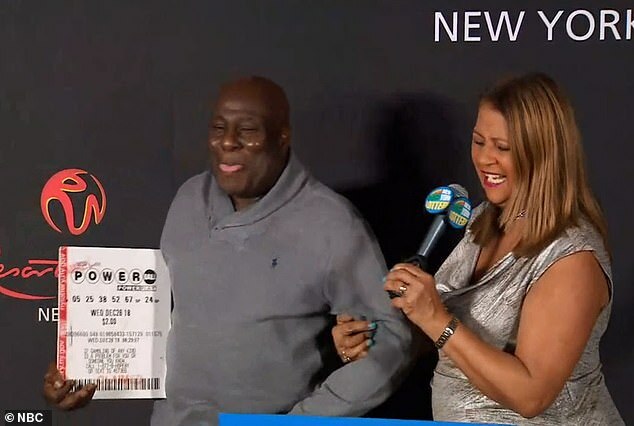 A Brooklyn truck driver who won $298million in the New York Powerball immediately quit his job and screamed 'I'm rich!' when he found out the news. Dave Johnson, 56, had been sick for days, but knew he had to go back to work in order to get paid on December 26. 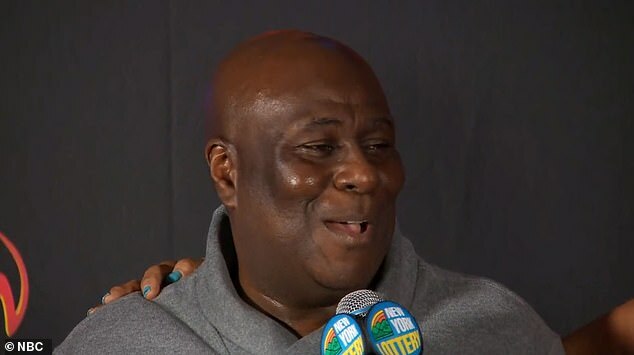 The Jamaica native first went to the gas station where he fills up his truck every day and then, with the $5 in his pocket, decided to pay the Powerball lottery. Johnson was so sick that night he didn't watch the drawing and missed work the following day, according to NBC News. That week a co-worker told Johnson that the winning ticket had been purchased at Arnold Service Station - the very same gas station where he had bought his ticket. But Johnson still didn't believe it was he who had struck gold. It was only a couple days after the drawing that Johnson went back to the gas station and finally checked his ticket. The winning numbers - 5, 25, 38, 52 and 67, with Powerball 24 - were an exact match. He was the sole winner of the jackpot. Johnson decided right then and there that he was going to quit his job 'right away, no delay'. 'I got back in my car, I turned up my music, and zoomed on home,' he said. Johnson later called his family and told them 'I'm rich! I'm rich! I'm not going to work anymore'. 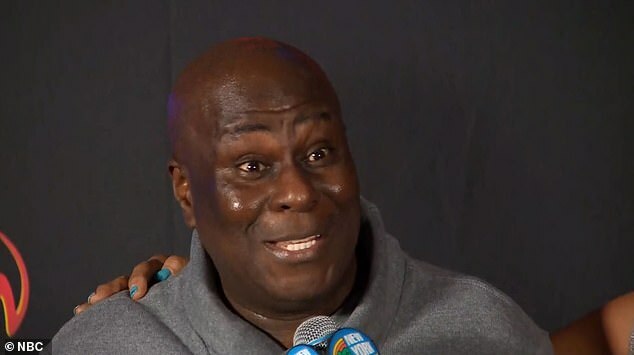 He didn't claim the jackpot until January 2, but Johnson hid the winning ticket in a jacket. He figured that if robbers ever came to his home, they would go for the 'good stuff' instead. Johnson has opted to take the cash lump sump of $180million, which will come to $114million after taxes. And while he will stay loyal to New York City, Johnson said he plans on buying a red Porsche. 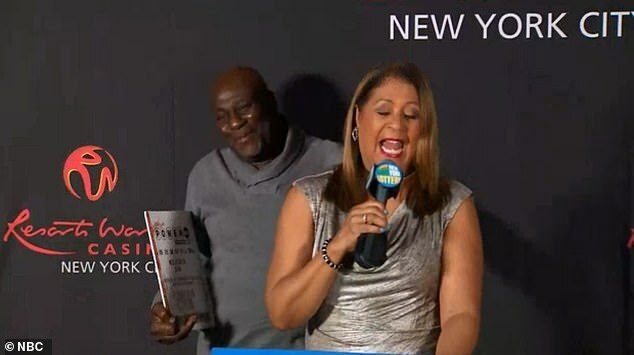 But mystery still surrounds the winner of the $425million Mega Millions jackpot. 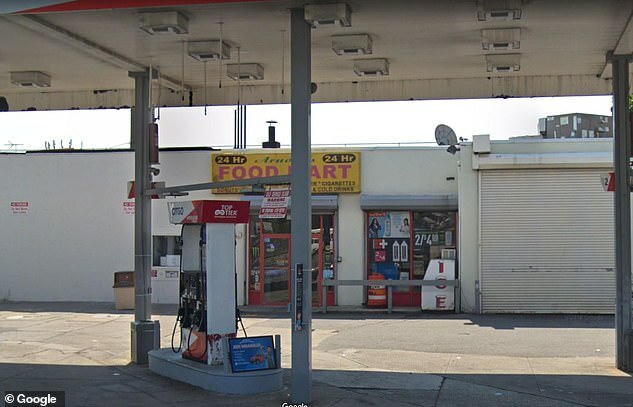 The sole winner, who purchased the ticket at Brookville Auto Service Shop on Long Island, New York, has not yet come forward. That drawing was January 1.